Green Opportunities believes everyone has a stake in an inclusive, sustainable local economy, and preparing people for meaningful career opportunities is at the very core of what we do. We accomplish our work through job training and placement services that feature technical and life skills training, basic education, and case management. We offer industry-aligned technical training and portable credentials while empowering our members to overcome personal and systemic barriers to employment. All GO training and placement programs are offered at no-cost to income-eligible residents of Asheville and Buncombe County. GO currently offers three primary training tracks. 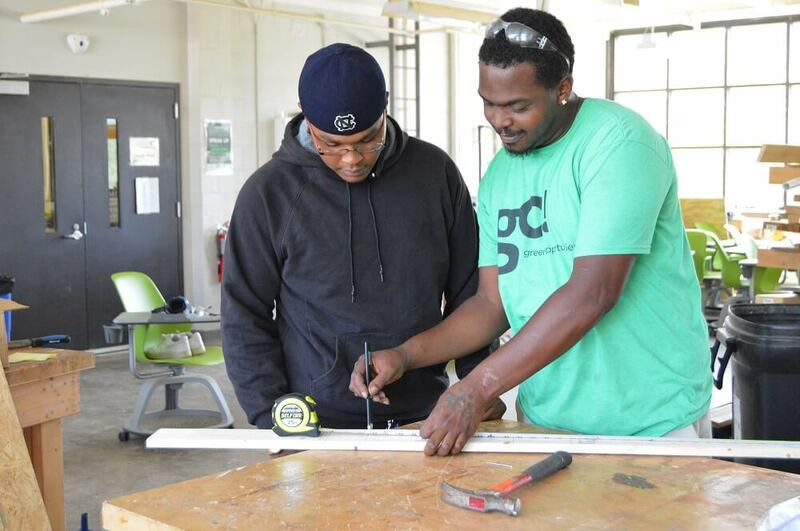 The six-to-nine-month YouthBuild track prepares out-of-school youth to earn their High School Equivalency Diploma while gaining skills and experience in carpentry and construction. The 17-week Kitchen Ready track focuses on cooking, hospitality, and food preparation skills and is open to adults ages 18+. The Ready to Work track pairs short-term essential soft skills/career readiness instruction with access to case management services and additional technical training and employment opportunities. We offer all GO students the opportunity to earn industry-aligned portable credentials. GO also offers a Youth Corps program geared specifically at supporting 16-24 year old young adults in reaching their educational and vocational goals, including earning their high-school equivalency diploma/GED® and accessing other training, education, and employment opportunities. The goal of the Ready to Work program is to prepare job seekers with the skills and experience they need to begin a fulfilling career with opportunities for advancement. 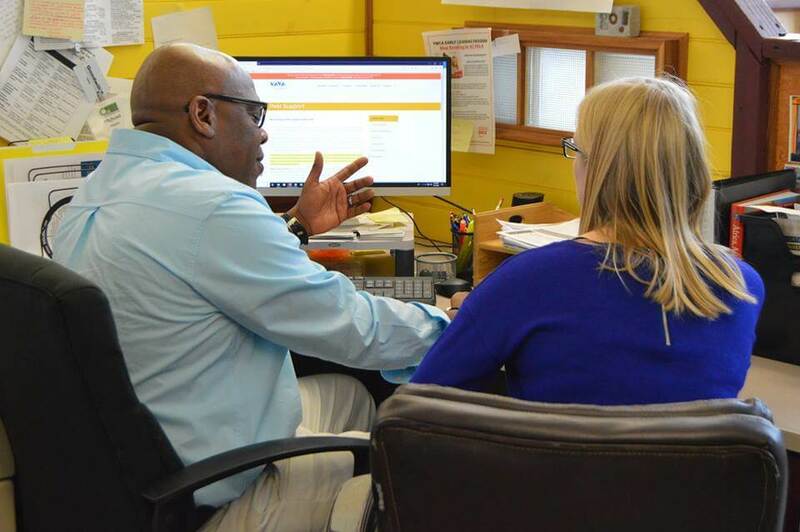 GO’s Ready to Work training track pairs short-term essential soft skills/career readiness instruction and one-on-one job coaching with access to wrap-around case management services that remove employment barriers. Ready to Work students can also apply for technical training tracks offered by program partners, including NC Certified Peer Support Specialist, Early Childhood Teacher, and others. Students who wish to begin working immediately may be referred to GO’s temp-to-perm staffing agency partner, UpStaff Personnel. Soft skills covered in the Ready to Work class include communications, teamwork, professionalism, interview and resume preparation, and other essential skills. The next YouthBuild cycle begins April 15, 2019! Click here and fill out our brief online application to let us know you are interested in participating in this FREE training program. The YouthBuild program is designed to help out-of-school youth earn their High School Equivalency Diploma, while also preparing them with the nationally-recognized credentials, industry-driven on-the-job training, and essential “life skills” needed to secure employment in the building trades or pursue the career or college track of their choice. Integral to the YouthBuild program is the Home Builder’s Institute (HBI) Pre-Apprenticeship Certificate Training (PACT) curriculum. The HBI PACT curriculum is one of only three U.S. Department of Labor recognized pre-apprenticeship curricula. It integrates contextual, work-based learning with vocational and academic skills training in the classroom, including job and life skills, career development, and paid on-the-job training opportunities. YouthBuild is a full-time, six to nine-month construction training program for young adults ages 16-24 who are out-of-school and out-of-work. YouthBuild members gain real-world on-the job training, earn a stipend, study the Home Builder’s Institute (HBI) Pre-Apprenticeship Certificate Training (PACT) curriculum, and earn their OSHA-10 Hour Construction Safety certification, CPR/First Aid certification, and Pre-Apprenticeship certificate in carpentry. The HBI PACT curriculum includes basic safety, carpentry, painting and finishing, green building, tool knowledge, construction math, and employability. YouthBuild members study for and earn their high-school equivalency diploma or GED®, participate in entrepreneurship and financial literacy workshops, and gain leadership experience by participating in a Youth Advisory Council. Click here to download a flyer for our YouthBuild program. The next Kitchen Ready cycle begins June 10, 2019! The 17-week GO Kitchen Ready program prepares graduates for employment in the culinary industry and food service. Classes cover basic food service and technical skills including food safety, basic knife skills, culinary math, equipment identification, production method cooking, food station assembly and break down, basic culinary techniques, and appropriate kitchen communication, teamwork and cleanliness. Kitchen Ready students earn the ServSafe food handler’s certification from the National Restaurant Association and participate in a mentoring program supported by premiere Asheville restaurants and chefs. A portion of the program is devoted to essential life skills training, including resume writing, interviewing, job search and job retention skills. Upon program completion, Kitchen Ready students receive a Foundations of Culinary continuing education certificate from A-B Tech. Click here to download a flyer for our Kitchen Ready program. Kitchen Ready is offered through a partnership with A-B Tech Community College, Catalyst Kitchens, Asheville Independent Restaurant Association (AIR), MANNA FoodBank, and the Housing Authority of the City of Asheville. The Kitchen Ready training program was modeled after the Triad Community Kitchen program in Winston-Salem, NC and is part of the national organization Catalyst Kitchens. The Asheville Independent Restaurant Association-funded the 2011 initiative that led to Green Opportunities’ adoption of the program. Asheville restaurants Bouchon, Strada, and Tupelo Honey Cafe were founding funders of the Kitchen Ready program. GO’s Youth Corps program provides educational and vocational pathways for out-of-school and out-of-work young adults (ages 16-24) in Buncombe County who are looking to learn a new trade and develop career-building skills. 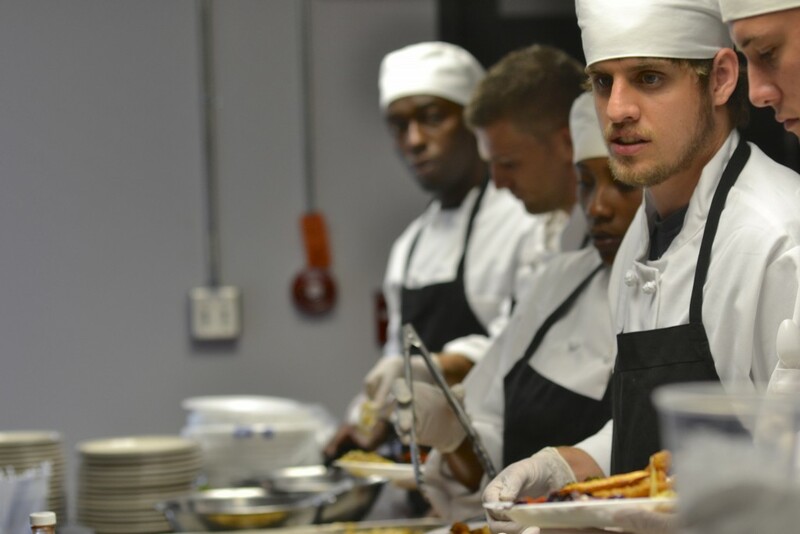 Youth Corps students may elect to participate in full-time job training through our GO Kitchen Ready (culinary arts) program, or participate in off-site training opportunities that match their career interests. Youth Corps students also have access to other career building opportunities, such as free high-school equivalency (HSE) classes, a life skills curriculum, paid apprenticeships, support services, and other community resources designed to help them reach their goals. To apply for the upcoming training program cycle, stop by our office in the Edington Center (133 Livingston Street, Asheville, NC) to meet us and complete an intake form. Info Sessions are held on the third Wednesday of the month in the Edington Center Training Room. You can also complete our Online Application, and a GO staff member will get in touch with you to discuss next steps.